If you’re looking for music, movies and apps to load up on your iOS device on the Web, it’s a pain to purchase them without switching between your browser and iTunes’ crappy desktop app. That’s where Lookmark comes in. The first version of the browser extension, launched last October, allowed you to save App Store apps to a list you could retrieve through the companion app on your iPhone or iPad. The latest release now lets you collate audiobooks, books, movies, music, podcasts and TV shows as well. Visit a page with a link to any iTunes content in Safari or Chrome – whether that’s a list of search results, a review or the iTunes preview page – and click the Lookmark extension button. It’ll let you save the linked content to your list so you can then purchase or download it through the iOS app. 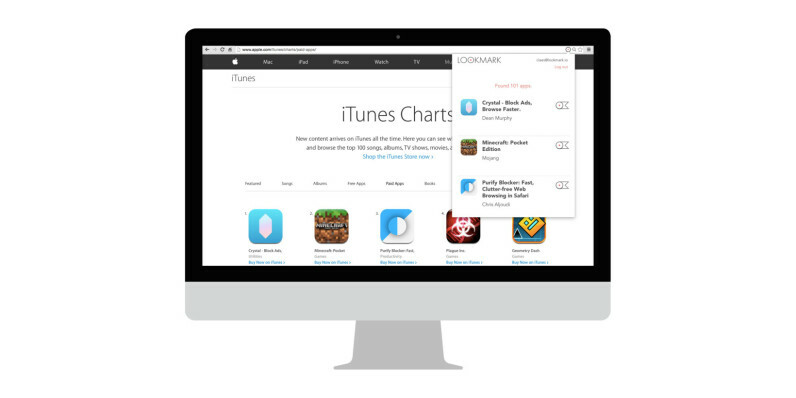 In addition to working in Safari, the Lookmark team says this functionality is also available in the iTunes content apps, like the App Store, iTunes Store, Podcasts, Music and iBooks. Version 2 also brings a handy new feature for those who pony up for the Plus plan: the ability to monitor iTunes content for price drops, so you can grab tunes and movies on the cheap. If you purchase the majority of your digital content through Apple’s service, Lookmark is an essential tool to make shopping for it easier. The latest versions of the browser extension and the iOS app are now available for free.